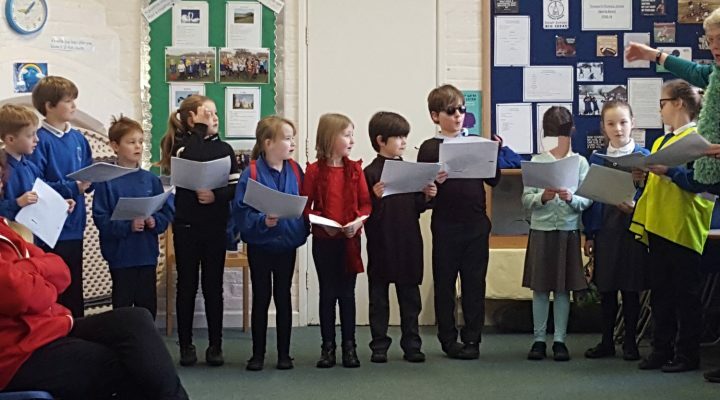 This was a brilliant day with all of the children and staff joining in the fun. 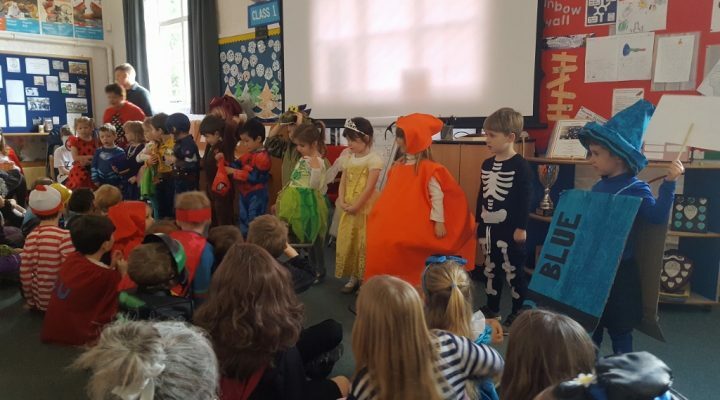 The costumes were super and we enjoyed a story session with Gangsta Granny (aka Angie from Asda), a quiz and story sessions with Year 6. Thanks to all the parents for their support. 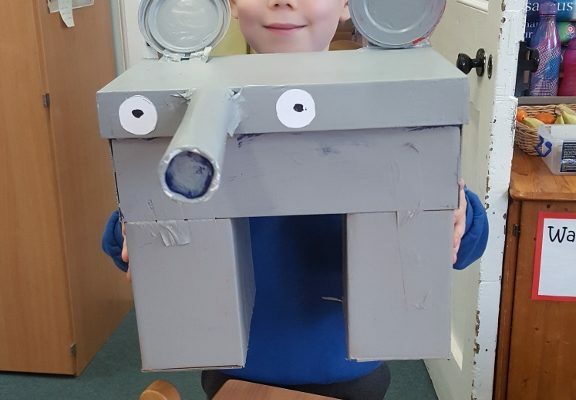 Roxy and Franklyn recently joined in with the fun of arts week at John Hampden School. Here they are with their finished creations. Class 3 are enjoying learning all about Ancient Egypt. 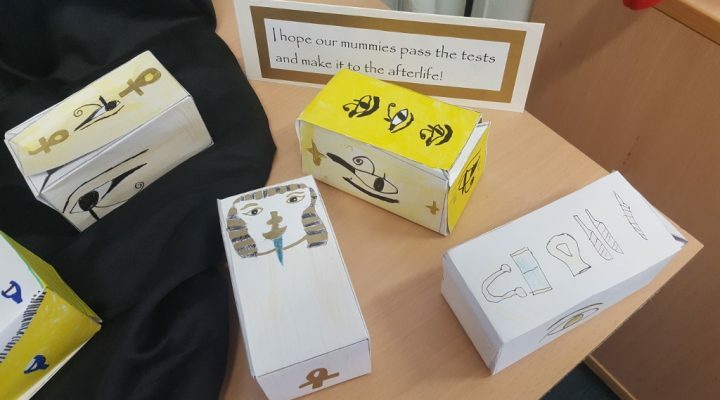 They made clay mummies and placed them in decorative boxes – we hope they will make it to the afterlife safely! 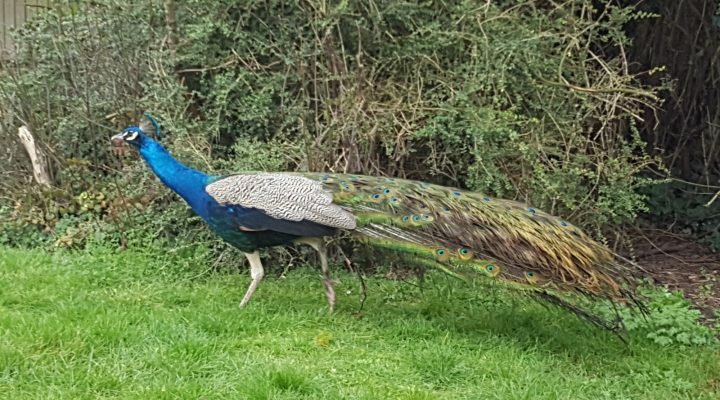 The peacocks have visited again this morning and were last seen heading towards the Year 6 den!! 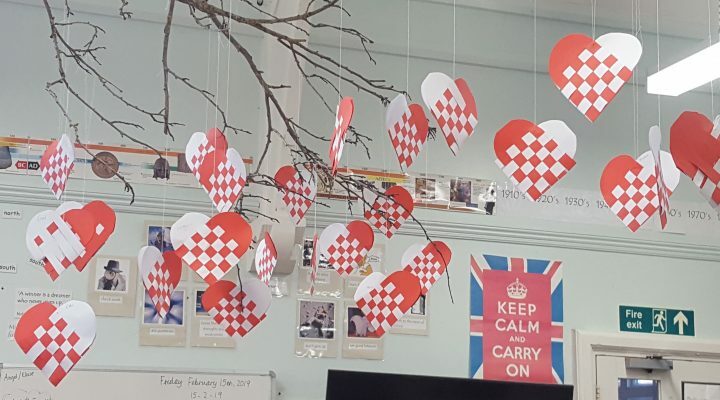 The children in Class 3 have worked very hard to weave hearts – which are now hanging from the branch in the classroom. Please do come and have a look.